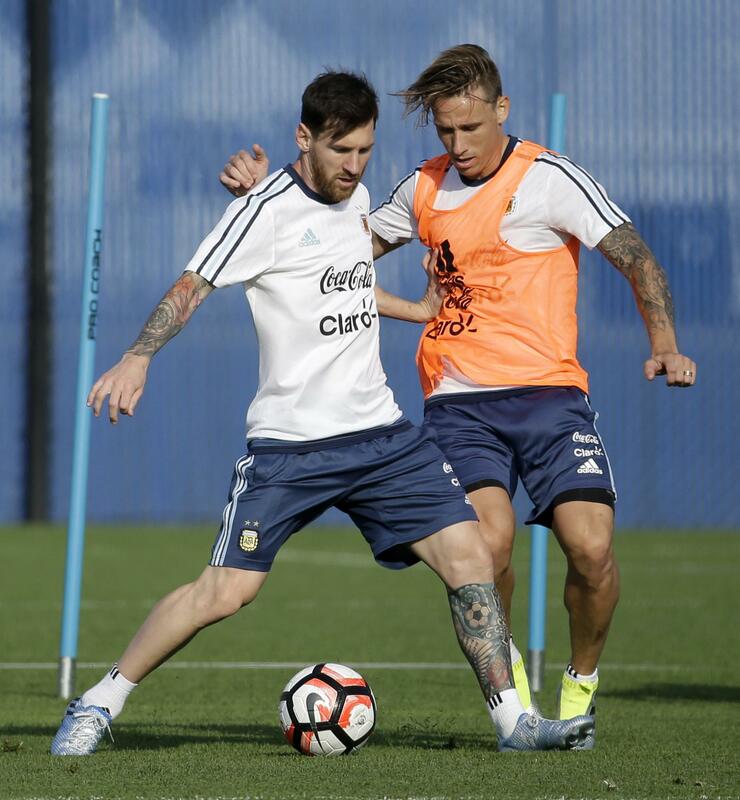 EAST RUTHERFORD, N.J. – Another year, another final for Lionel Messi and Argentina. They made it to the championship match at the 2014 World Cup – and lost 1-0 in extra time to Germany. They made it to the 2015 Copa America final – and lost on penalty kicks after a 0-0 draw against Chile. Two games, and no goals for Messi, or any of his teammates. Now with a special Centennial Copa America celebrating the 100th anniversary of South America’s championship, La Albiceleste get a rematch against Chile on Sunday at MetLife Stadium, seeking their first major title in 23 years. But of course all that will be quickly forgotten if they lose again. And they’re facing a Chile team that left Colombia and Mexico stunned by its fast starts in its last two games. Argentina beat Chile 2-1 to open this tournament – without Messi, who was returning from an injury. Chile has found its form in the knockout rounds, though, with a 7-0 quarterfinal rout of Mexico and a 2-0 win in the semis over Colombia without suspended midfielder Arturo Vidal, when both goals came in the first 11 minutes. Chile coach Juan Antonio Pizzi made sure to mention Saturday that 20 days have passed since the first meeting between these two teams. His squad has since corrected the mistakes that led to Argentina’s goals. This is a confident Chile team, as Diaz put it, “not just individually but collectively.” And he suggested that Argentina perhaps shouldn’t be deemed the favorite Sunday considering what happened in last year’s Copa final in Chile. Of course, Chile will need to try to keep Messi from dictating play, he acknowledged, but he reminded everyone what got his team this far, an approach he sounded loath to change. “Our style of play has allowed us to overcome some immensely difficult opponents,” Pizzi said. None more difficult, though, than Argentina when Messi is at his best. For one more day, at least, he’ll face questions about whether he can be at his best in the final of a major tournament. Argentina coach Gerardo Martino expects to have available Angel Di Maria, who has been out with an adductor injury since the second game of this tournament. Di Maria had a goal and an assist in the first meeting with Chile. Martino insisted Saturday that his players could relax once they reached the final. “The biggest burden the players carried was getting to this situation,” he said through a translator. But it has not been a calm few days since Argentina beat the U.S. 4-0 in Tuesday’s semifinal. Following that victory, Messi complained on Instagram about the national federation when the team’s flight was delayed. That federation is now under FIFA’s control after its president was charged with fraud. Martino didn’t want to talk about the federation Saturday. Twenty-three years of concern will be weighing on his players. Published: June 25, 2016, 6:31 p.m.